Birthday Status For Baby Girl : An adorable baby girl is like a little angel and her birthday is the most precious celebration for her family and relatives. No matter if it is her 1st, 2nd, 3rd or 4th birthday, the joy of celebrating a birthday of baby girl never fades. She is a special bundle of joy and deserves special birthday wishes on her B’day! 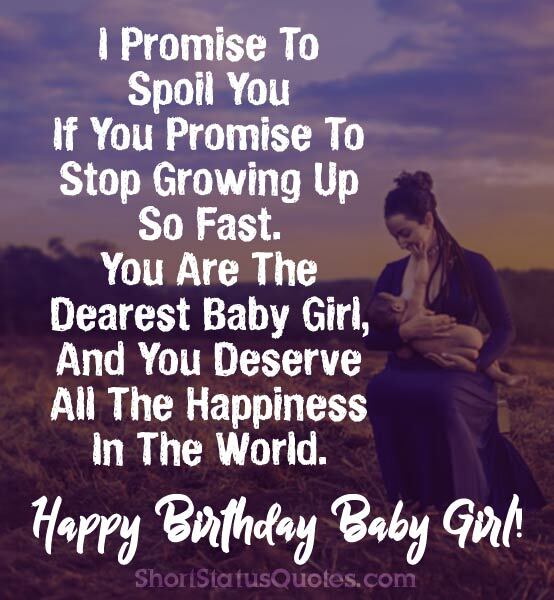 Here we made a gallery of best happy birthday status for baby girl, birthday wishes and messages for baby girl along with short B’day quotes for baby girl which are too cute to cherish your love and care towards her on the special day of her life! Though she is too little to read then you may write this wishes on a cute birthday card and preserve it for future when she will able to read it will be a bank of memory for her! The warmest birthday wishes for my amazing little princess! Wishing you a delightful day, sweetie! Congratulations on your B’day, cutie pie! Wishing you a beautiful day filled with blessings and love! The warmest birthday wishes are coming your way, sweet honey! Cant‘s wait to cover you in birthday kisses! A baby girl like you is rare. You are so cute and nice that you deserve a superb gift from everybody. Happy birthday to you! May all your days be full of ever-increasing happiness! Have a yummy and fun-filled day, sweetie! May your care-free happiness continue for long long years to come. Hip-Hip-Hooray! It’s someone’s big birthday! Happy Birthday to the most wonderful child that I could gobble right up! May your day be full of laughter, fun, and plenty of delicious cake! I’m pretty sure that you will grow up to be a bright and beautiful girl someday since you bring so much happiness wherever you go. Happy birthday, sweet angel. You have blessed the hearts of so many people during your short time on Earth. And we know you will touch many more as you grow older. Happy birthday darling baby angel. This day is truly a special day for us because this is the day when we first had a glimpse of our angel. Have a lovely birthday our dear princess! You are as magnificent as the sun. You naturally attract people by your rays of cuteness. 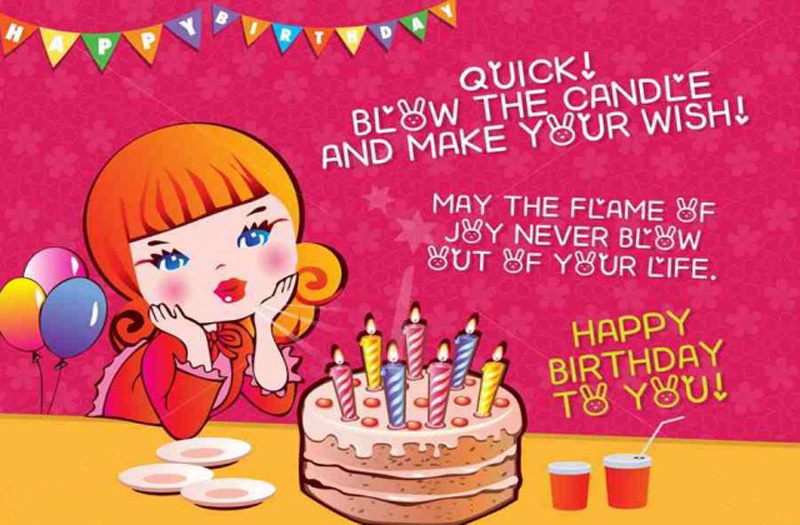 Celebrate your birthday with joy and happiness! Happy birthday princess, our beautiful darling! You certainly bring joy and happiness to our heart each day. Thanks for giving us a reason to laugh every day. You certainly have made us so happy and we hope can do the same for you. You need a lot of kisses, hugs and blessings from everyone. All the blessings of the good people will do good for the coming years. Happy birthday to you! Your smiles are more beautiful than the colorful corals of the Pacific Ocean. You are no less than an angel. Happy birthday, sweet girl! A birthday means new dreams to dream, new thoughts to think, a whole new year, to try a million good things and you’re just the girl to try them, to think them, to dream them. Happy Birthday! We hope this cute birthday status for baby girl with lots of birthday wishes and messages could be the way to wish your baby girl more especially on this joys day of her life, best of luck and thanks for visiting us!